My parent volunteer introduced the project, talked a bit about animation, and gave them the choice to design their own rocket sprite and many of them did. I know I want them designing their own stuff, but give them an option or two and they’ll run with it. Have I mentioned that they are a creative bunch? They are little testing testers, too, and have no qualms about setting speed to a very large number or having a screen full of sprites. Kudos for Scratch for not crashing in these cases. Just goes to show that Scratch was built for and tested by kids. The only misunderstanding I came across with this project was with the iterative approach to code building. The directions had you start with a simple bit of code and then you built on it, testing as you went. For example, the rocket starts with the simple scripts on the right (in the picture below) then you add the loop and conditional to improve the behavior and end up with the script on the right. I noticed a few of students who had all the different stages of the script in with their sprite and it was interfering with the expected behavior. We only have time to try one more project before they start designing their own and there are a couple – maybe three – different projects I want to introduce. Now I have to decide. About a half dozen years ago my school district went through a “consolidation” where some schools closed and a new school was built. The result was that my school’s population got younger. 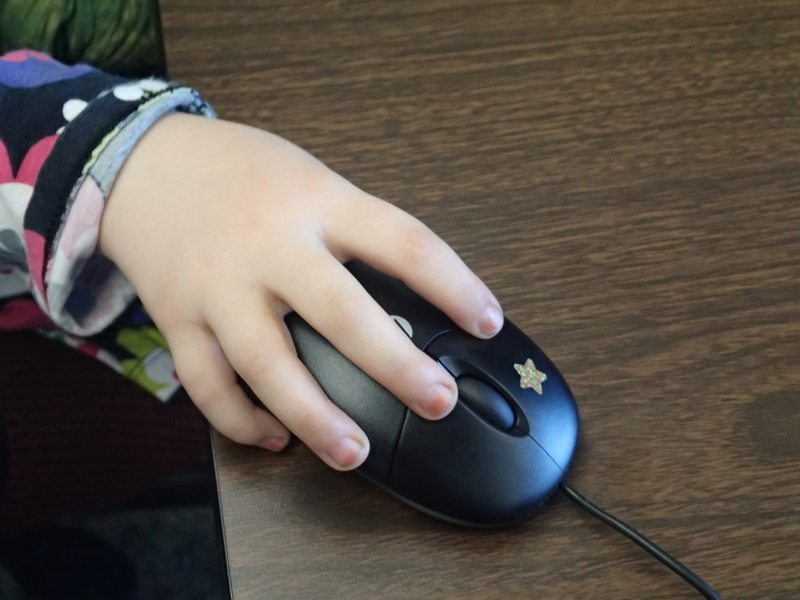 I went from teaching graphing with Excel to fifth graders to mouse skills to Kindergarteners. But gee, those Kindergarteners are so cute and so effervescent. What a blast to find little online activities for them to try. 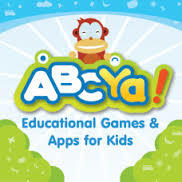 We love StarFall.com and ABCya.com and ToyTheatre.com and the list goes on. BBC & PBS Kids and well as some textbook publishing companies all have interactive games on the web for free. There are even more resources if you have monies to pay for a subscription or don’t mind setting up accounts for your students. 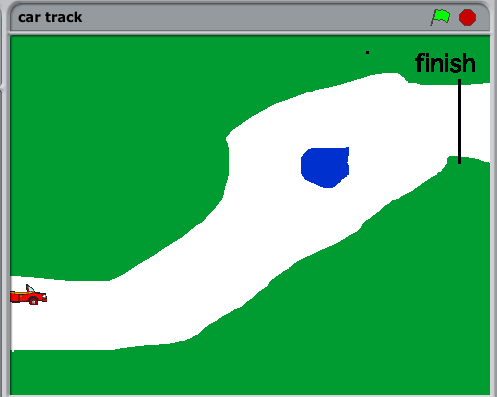 During that first year, I searched long and persistently to find free, appropriate, educational, curriculum related web-activities for my younger students to use during their computer lab time. My success varied. 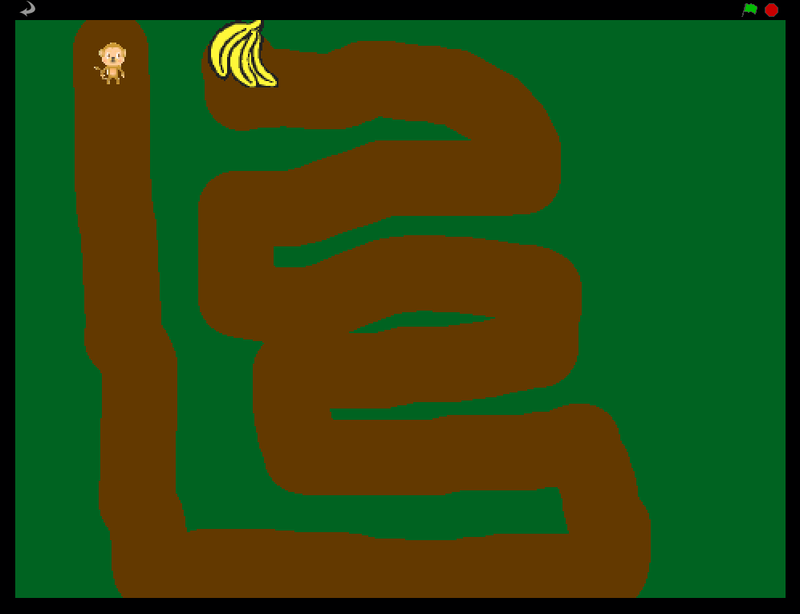 What I did come across was a number of little learning games, simple enough in their construction that, I thought, perhaps, even I could make a game like that. That became a motivator for me, something I could challenge myself with. So when I was unable to find online resource on a specific topic I envisioned or for different parts of our curriculum, I imagined I could just write my own. It seemed everyone was doing it. I was also inspired by ABCya.com story. Here was another person, like me, looking for good resources on the web and when he couldn’t find much, started making the resources himself. The ABCya! site has grown into a great resource and achieved many accolades. Their stuff just keeps getting better and better with each iteration. 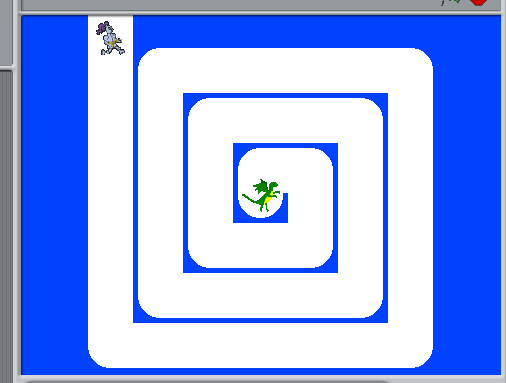 As it turns out, it’s more complicated than I thought to make even the simplest of games. When I started with this idea a lot of the resources that I found online were FLASH games and the .swf file extension of these assets were made with Adobe ActionScript. So I decided to learn it. 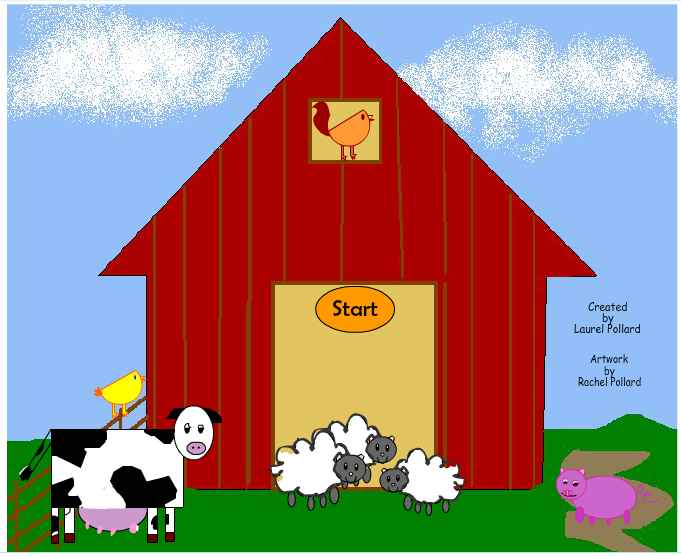 My daughter drew the pictures for me and I wrote my first game in 2010 – the Farm Game. I can only make one or two games in a year. As much as I enjoy the process and the sense of accomplishment in producing a new game, it just takes so much time and energy. It really challenges my ability to think like a programmer: break down the game into logical steps, specify the outcomes, plan game play, set up the objects, think about the outcomes, animate, test, debug. I can credit part of my success in this endeavor to the software engineer who is my spouse. He doesn’t like Adobe’s FLASH environment, but he helps me with ActionScript, the object-oriented programming (OOP) side. He’s great at making me think through all the logical steps and suggesting what I should test to figure out why things aren’t doing what they are supposed to. Books help, too. I’ve amassed a few ActionScript animation and game building guides. I took a Java course online to learn more about that type of programming (a MOOC on OOP). I suppose if I created more games and spent more time at it, I’d get better at it. I just don’t think I can teach it to anyone else. I need too much help with it myself. And the web is changing. It’s not enough to have a little game on a web-site. It has to be mobile ready, use rich, dynamic web-design, etc, created by acronyms like JSON, HTML5 & CSS, AJAX, etc. I won’t be able to keep up. 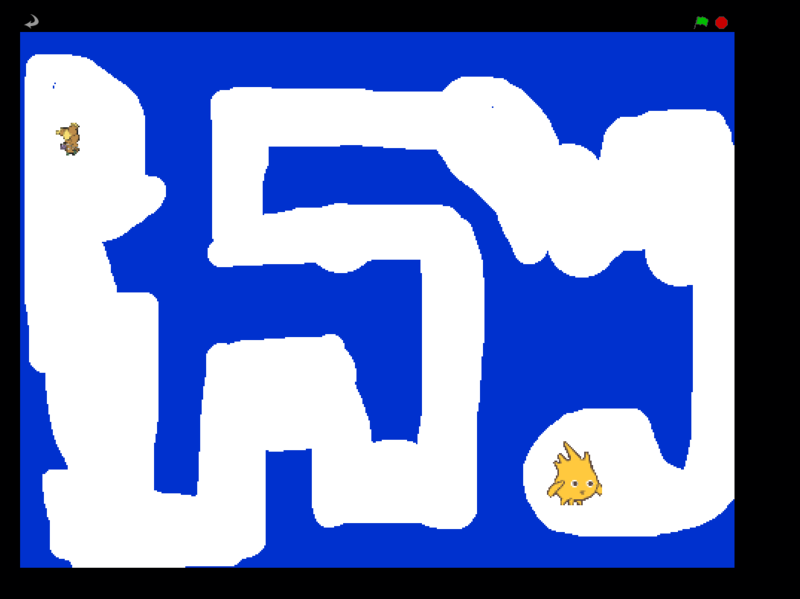 But it’s okay, because I’ve got a new challenge now with Scratch. It’s a different vision than the one I started with, but I am teaching kids to code and it is a blast. We didn’t have Code Club last week, but we do tomorrow. And it’s all about animation…. Stay tuned.